Q: What’s the difference between a can-opener and a chainsaw? Who would I have at my dinner table if I could? Well, I must admit that Audrey Hepburn would be at the head of the table. This photo was taken last year and, for a woman who has been dead for 18 years, she looks incredible. Imagine what she was like when she was alive! Actually, you may have guessed that this isn’t really Audrey. Madame Tussaud’s in London has this scene set up for people like me to ogle. She really is quite stunning, even in wax. While looking around the Intramanet, I came across a whole lot of Audrey Hepburn related briefs on a site called (and I kid you not) Greenland Culture File. Check it out here. I haven’t posted for some time – competing priorities and having a dud spell on the photography I have been experimenting with my camera and have produced some spectacularly bad pics which will never be seen by human eyes. They have been recycled into ones and zeros on my PC. Hopefully, looking back over some old shots will inspire me and maybe produce some postings over the coming days/weeks. And I still await a visitor from Greenland! In 2009 I went for a walk around Brisbane taking photos of reflections. While crossing the river Victoria bridge I glanced across to the other side of the road and saw these wonderful tourists just passing. Of course, I didn’t have my camera ready so had to quickly snap what I could. The result is below. Now, normally I don’t play too much with pictures as I am in the mood of trying to get the photo right at point of origin. That doesn’t always happen 🙂 This one I played with and kind of like the effect of the coloured umbrellas. Which version do you like? I wonder if the tourists ever went to Nuuk (ha – I bet you didn’t pick up the link between this and Greenland!). Okay, due to unforeseen circumstances I have missed a couple of Friday Photos. Hopefully I can make up for that over the coming days/weeks. In the meantime, I have travelled to Victoria. Every now and then that photo comes along which aligns the stars. You know, the one which everyone says “That must have been conjured in Photoshop” or “Nah, that’s a set-up”. Yesterday, while driving back from a heavy-duty shopping expedition, our car drove from the carpark (with us in it) and showed us “One of those photos”. Now if this pic does not tickle the fancy of people from as far away as Greenland and Mongolia, I don’t know what will. Notice the way I added Greenland and Mongolia in an attempt to boost this blog’s page rank on http://www.google.gl and http://www.google.mn (queue maniacal laughter). So, here it is – one of those photos. I believe it is worth a full 1000 words. What do you think? Now this is a real quick post as I prepare for my niece’s 21st birthday tomorrow. 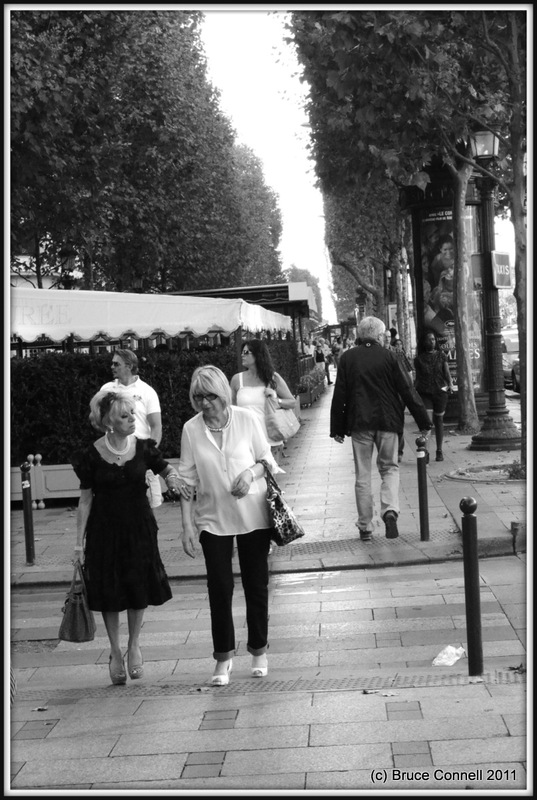 This pic was taken in on the Avenue des Champs Elysees in Paris. It was one of those that you take when playing with a new camera and kind of surprised me when I looked at in on the computer. It was taken in black and white so no ‘shopping’ apart from the border. Hope you enjoy. And just so I can legitimately tag this to encourage viewers…I reckon the bloke with his back to us is from Greenland or Mongolia. When you look at art made by other people, you see what you need to see in it. Today’s Friday Photo comes from a trip to the art gallery. Hope you enjoy. As usual, click on the picture below, here or the drop down menu at the top of the page to see to see the full image. “To sleep, perchance to dream – ay, there’s the rub.” Hamlet certainly captured the essence of today’s Friday photo. Click on the picture below to see the full view. Hope you like it. Let me know what you think. Today’s photo comes from a day at the lake watching my daughter and her friends in the rowing regatta. 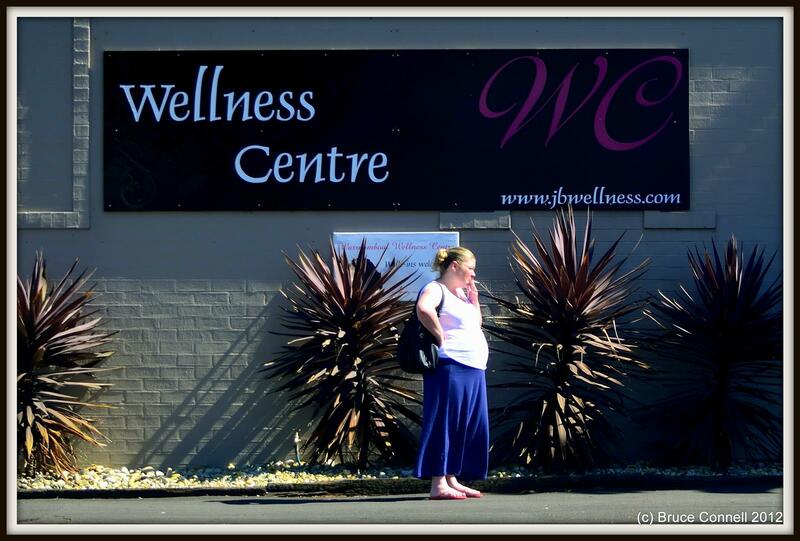 Click here or on the photo above to see my Friday photo. A: A chainsaw will actually open a can. Seriously, the basic function of a can opener is in its title – that is to open cans. So why can can-opener manufacturers not make a can-opener that does just that! Now, I am not a complete numpty when it comes to mechanics and engineering. Well, okay, I am pretty close to being one, but surely it can’t be that hard. At a recent art exhibition at the Gallery of Modern Art in Brisbane, Australia, I came across my own Contemporary Woman sitting in one of the rooms. I took these photos and had a play with a dark and moody look to see if I could capture the essence of a sixteen year old girl. I also sent one to my resident Photoshop guru to have a play with and he zapped a gorgeous version back in about 10 minutes flat. Click here to have a look at three more versions. So a while ago I posted some photos from Berlin and The Netherlands here. Just pointing this out as some people mentioned they had not seen a post about them). Today I add to my galleries some pics from England. As I was going through the photos it struck me that most of my England pictures were of my family. I spent very little time looking through the lens at the surrounds. That kind of paralleled my feelings of this last country in our European holiday. The thing I enjoyed most about England was being with my family and friends. Having been to England many times, I think I did not find it as inspiring as the other countries. Hence I am pretty disappointed in the photos which do not feature my peeps. But, keeping with my long held conviction, I am not going to post my family shots up on the web. They are my private stock 🙂 I hope you get some enjoyment out of the others which can be found by clicking here or on the photo below. This gallery is a selection of images from France, 2011. They are simply some of the images which caught my eye while in Paris and the surrounding region. I hope you enjoy. A click on the picture below will take you to the gallery or you can select from the Photographs tab at the top of the page. How do you get down off an elephant? Enter your email address to follow these ramblings and receive notifications of new posts by email.